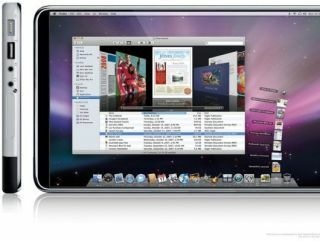 A former senior Google exec close to the Apple tablet project has claimed that Cupertino company hopes to build and sell ten million tablet computers in the device's first year on sale in 2010 – 2011. Kai-fu Lee formerly ran Google's operations in China and now runs Innovation Works, a Beijing-based technology fund. Apple has booked space for a press announcement (widely expected to be about the new tablet device) later this month on January 26. Lee adds that the new Apple Tablet will sell for less than $1,000, according to his blog post on December 28 and that the new device will feature a 10.1-inch multitouch screen with three-dimensional graphics and that it will look like a large iPhone. "It's a pretty aggressive number for a class of product that's not yet established, but if anybody could do it, Apple's probably the one company that could," noted Rob Enderle, an analyst with Enderle Group in San Jose, California. "The guys that have sold the most netbooks have been Acer, Asus and Hewlett-Packard, and it could pull some demand from them," Enderle added.